Websites are very dynamic nowadays.Especially if your website is adaptive to users with more interaction then the admin panels must be admin-friendly to control the website easily. 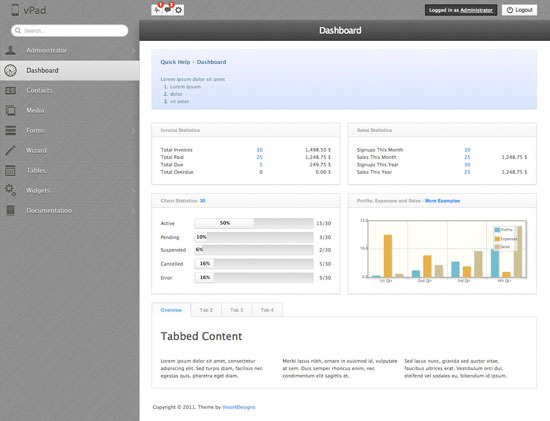 So the design of an admin panel is very important.It must be clean,simple and of course fast loading. 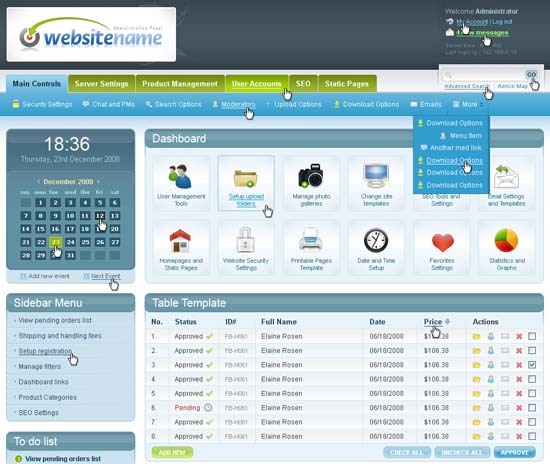 For example if you are the administrator of a shopping website or a gaming website you definitely need a highly customizable admin template. 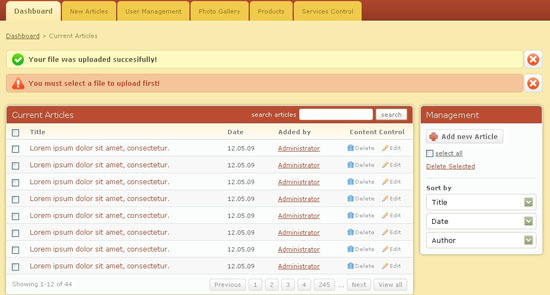 In today’s post we are featuring really well-designed admin templates both for commercial and free. 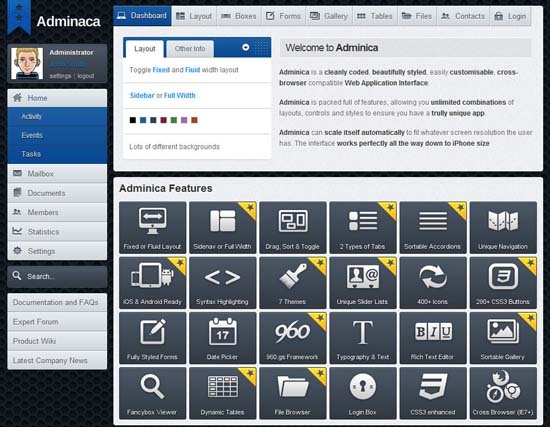 Adminica is a cleanly coded, beautifully styled, easily customisable, cross-browser compatible Admin Template and Web Application Interface.Adminica is packed full of features, allowing you unlimited combinations of layouts, controls and styles to ensure you have a trully unique app. 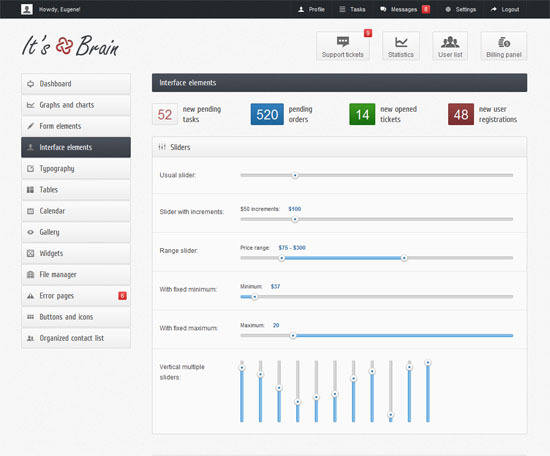 It’s Brain is a new premium admin theme with lots of different features like fixed and liquid 2 columns layout,integrated flot charts,default text input fields with placeholder, autofocus, on hover tooltip, read only, disabled, with maximum length and predefined value etc. 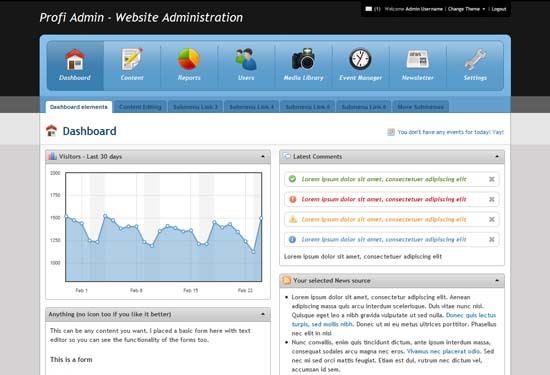 Magic Admin – an admin template. 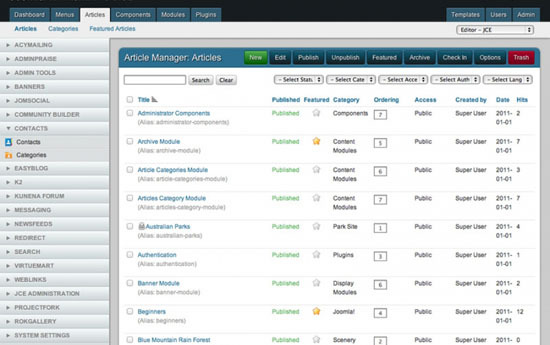 Admin Center covers all the necessary functions for your decisions. 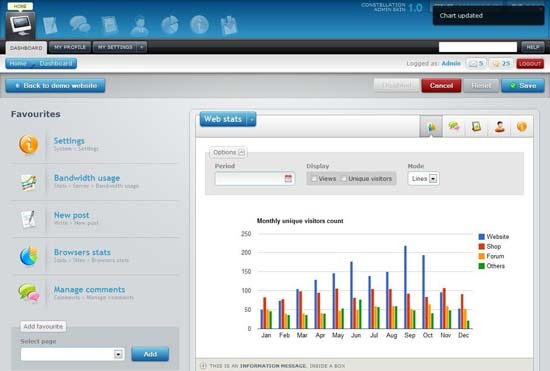 In the Magic Admin includes popular jQuery plugins (forms, charts, tables, notifications and much more). Skin is blue with gray elements. 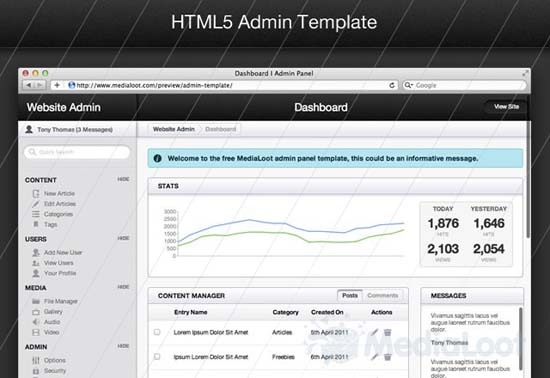 Template is built on HTML5 and CSS3 . 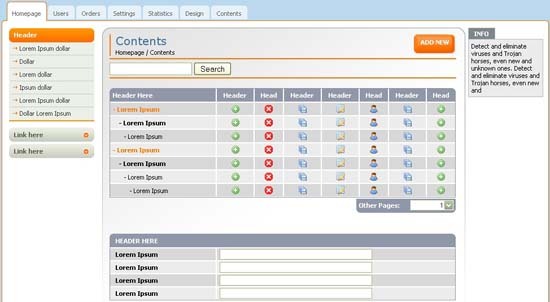 It’s a professional and flexible admin template/skin and can be used for all kind of projects such as web applications or backend website solutions. 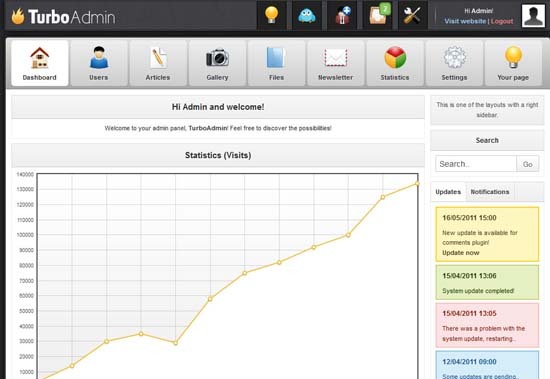 Admin backend template that has a hell of a lot of features. It’s designed with cool “Storm Black / Aluminium” colors.Template is touch screen ready, tested on iPad, iPhone and Android. 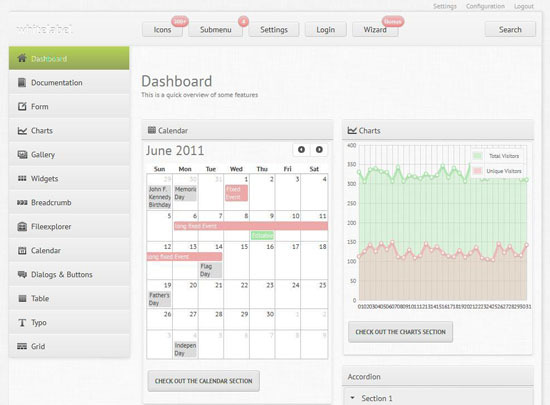 Simple and professional interface for your custom web application. 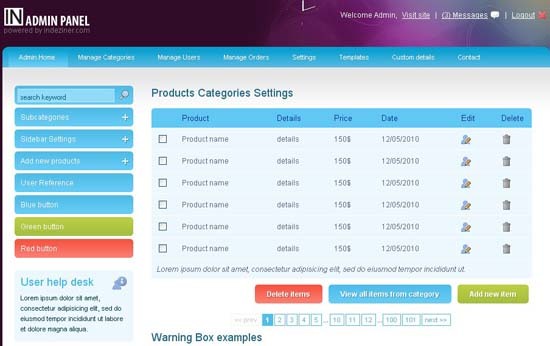 This is an admin template which you can use for web applications like e-commerce projects and content management systems.And also you can find the HTML5-CSS3 version in the package. 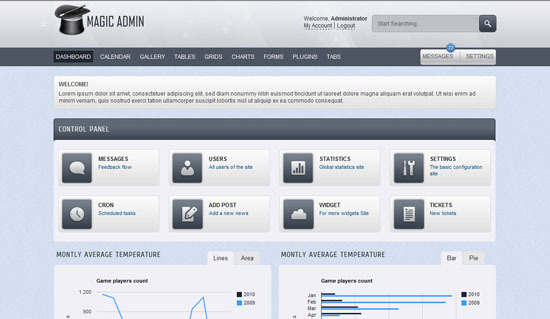 INADMIN is a new FREE administration panel created by INDEZINER.It has a lot of cool features like;digital and analog watch,tableless,full css and xhtml design,dropdown menu,jQuery sidebar accordion menu etc. 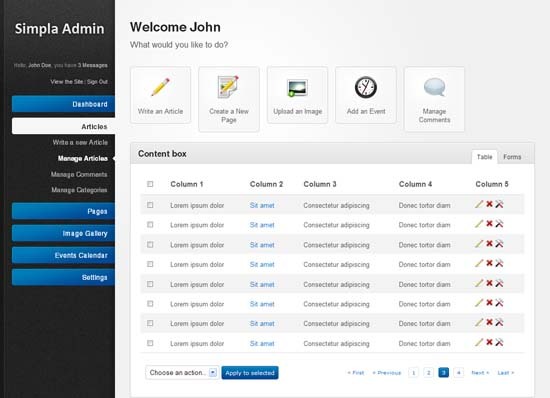 AdminPraise Lite is a super lightweight Joomla! 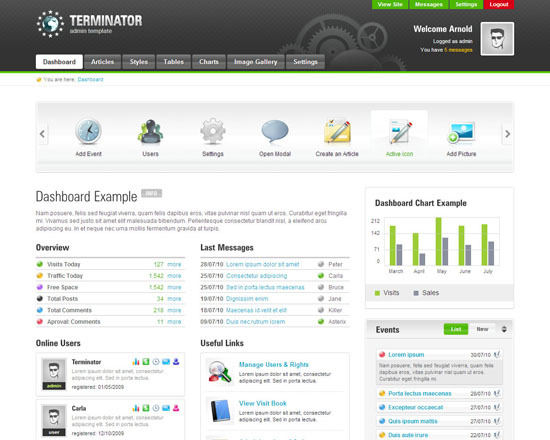 administrator panel template. 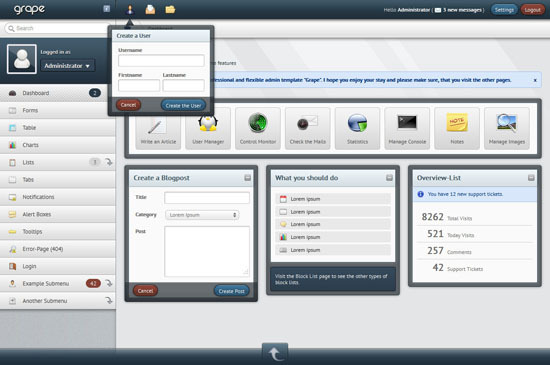 Thanks for sharing this awesome collection of admin templates Arshad. Keep up the good work.